Corey Feldman, Malcolm McDowell, Rutger Hauer et al. Set in the bloodthirsty city of Los Angeles, one rogue detective's obsessive search for the truth behind his parents murder leads him to confront a monstrous duo who drag him into a Hellish nightmare he was never prepared for. 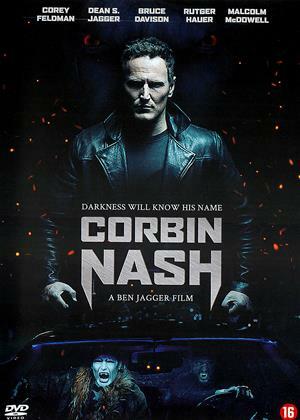 Upon discovering he's the last surviving member of the Nash family, a historic clan of demon hunters, he's brutally left for dead, only to be saved by Macy (Fernanda Romero), a pure soul who is led by the mysterious Blind Prophet (Malcolm McDowell). In a bizarre twist of fate, through death, he's reborn the ultimate killer of vampires and demons. The script was lazy & the story hard to follow. A "rogue cop" - yawn , battles vampires/demons in LA ( 1 of whom is a transvestite - so 1 star for originality). Builds up to the cop becoming a demon, so expecting fights galore - never really happens.